DETROIT: Ford has announced the new Black Appearance Package available for the 2019 Ranger lineup in the US market. 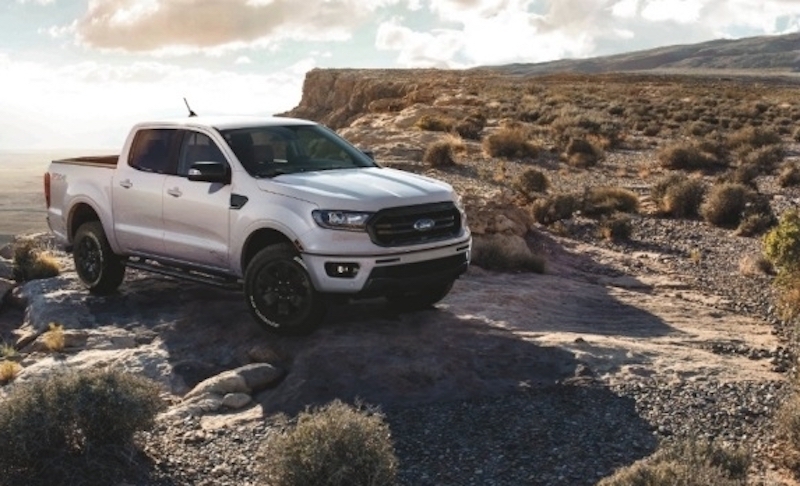 Since the 2019 Ranger pickup went on sale in January of this year, over half of the models have been outfitted in either the Sport Appearance Package or the Chrome Appearance Package. As of Monday, another option is now available: the Black Appearance Package. Ford describes this package as adding "aggressive style" to your pickup, and it is available with any Ranger body colour. Apart from the body colour bumpers (unless you opt for black exterior paint), the package makes almost everything you'd find on the exterior of the pickup black including the grille, wheels, bed liner, running boards, fender vent surround, mirrors, sill plate, bask plate (on the FX4 Off-Road Package), and lower valence. The Black Appearance Package is available for order on all trims of the Ranger for US$1,995 (RM8,115). Deliveries are expected to begin at the start of the summer.